Role: Mr. Parker - as Vice President of Hines development team. 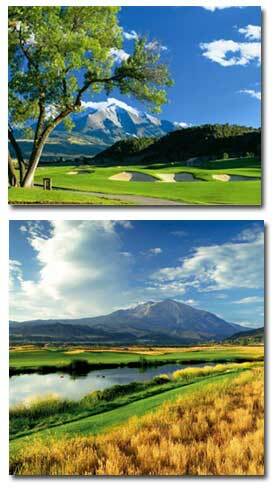 General Development Description: River Valley Ranch is a 520-acre master-planned community located at the foot of spectacular Mr. Sopris in Carbondale, Colorado, only 30 miles from Aspen and 60 miles from Vail. Residential real estate offerings include semi-custom, single-family home neighborhoods, 685 home sites, multi-family neighborhoods, and affordable housing neighborhoods and larger parcels subdividable by outside builders and developers - all contained within 21 distinct neighborhoods. Property owners at River Valley Ranch are a mix of full-time residents and second home buyers. The community is designed around an 18-hole championship golf course designed by Jay Morrish. The Ranch House Swim and Tennis Club features three swimming pools, a water slide, a computerized spray garden, five Har-Tu Clay tennis courts, extensive fitness facilities, a community post office and a bar with a great room for socializing. River Valley Ranch borders 1.5 miles of the Crystal River, and includes five miles of hiking/biking trails and a variety of parks.